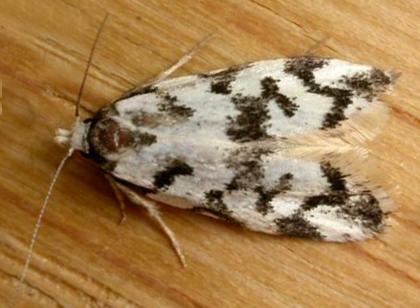 This adult moth has white forewings, each with a bold pattern of black markings. The hindwings are plain white. The wingspan is about 2 cms. Series 2, Volume 3 (1889), pp. 1641-1642.